I hope everyone had a wonderful Christmas yesterday! Celebrating with family and friends, not forgetting the reason for the season. Tomorrow I am back off to China!! I'm excited!! Today we are having another big meal with family friends, who we have done this with for the past 15 years on St Stephens Day (Boxing Day/ the day after Christmas Day)! It's a perfect send off! 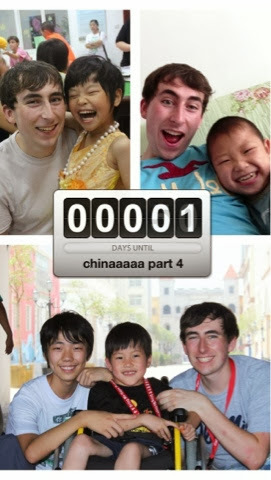 I will spend a week in Beijing visiting a new organisation (to me) and then a week with the kids I was with all summer! Will try keep blog updated while I'm there!